There is nothing more complicated than finding a perfect candidate for a certain position. The requirements are always high, and every single HR manager knows that they still are not enough to hire a person, as the individual characteristics also do matter. Sometimes, the process of finding an ordinary employee takes more than six months and to find a top manager or senior developer make take up to one year. Of course, no one is satisfied with such terms, but they accept them and just wait. A perfect candidate really deserves to be searched for months. However, it does not necessarily mean that you really need that time to find a person for this position. Social media will make it far easier and far quicker. Most of the recruiters admit that with the raising popularity of social networks, both professional like LinkedIn and entertainment like Reddit or Facebook, the process of searching for candidates has changed. From now on, no one thinks that you are just wasting your time when you browse social networks, as you are screening profiles of candidates that may be suitable for open positions. The resume, CV, and portfolio is no longer enough to hire a person. There is more space for analysis that social media provide, and you are to know them. But how exactly can you use social media in the process of finding and hiring a candidate? In this article, we are going to cover all aspects concerning implementation of social media in headhunting, including the primary research, establishing contacts with candidates on Facebook and LinkedIn, monitoring communities, communication with other recruiters and HR managers, and reaching out the candidates that suit your positions perfectly. For most of us, social media are just something we cannot imagine our lives with. We start our day with checking Facebook feed, next move to Instagram and Twitter, and read LinkedIn news to start in touch with the professional insights and details. For us, social media can replace news, meeting with friends, review websites, and even job aggregators. You can buy food, clothes, order cleaning services directly on Facebook. With over 2 Billion of Facebook monthly active users, it’s quite obvious that different types of businesses are moving to social media. Along with business, other spheres also move here. For example, recruiting. In fact, when the social media just appeared, it was just a matter of time where they will be used to serve all possible goals, including headhunting. Being first created as personal pages, they featured main information about a person. Over time, this information started to change. People started to write more about their jobs, their achievements, and the business they run. Later on, social media started to grow rapidly, and every single person got the chance to add all the information about business and even create the community where the clients can communicate. Thus, now you do not need to conduct a real investigation to get to know more about the company where your perfect candidate works. You just check social media and get what you want. Several years ago, there were almost no chances to head hunt a candidate from another city or region. Well, you could that indeed, but you had to apply too many efforts to find a person who is ready to communicate with the recruiter from another city. With growing popularity of the social media, the boarders disappear. At this point, the benefits are multiple, starting from the possibility to check the resumes and personal profiles of the candidates who live in different countries, and up to establishing contacts with them. You can even hold an interview using Facebook messenger, so no one needs to waste time of traveling to another city. Besides, by social media, you can find employees from another countries. This is particularly important for the companies that work with freelancers and remote workers. It really allows to empower the company with the best representatives in their field easily, but you need to understand how to reach them so they are interested in your offer. In some cases, a recruiter can work remotely for you. Most of the companies prefer to have an in-house HR manager who will communicate closely with the team leaders and top managers to define the main requirements to the candidates, while other companies prefer to cooperate with remote recruiters who can do all the required job wherever they are. Social media is enough for them to communicate both with the client and with the candidates. Most of the companies still prefer to put their vacancies to the job aggregator websites. It’s quite obvious that with the help of their services you can get contacts of the huge number of candidates as they will apply for your opening. However, most of these candidates would not fit the requirements, and those who fit would probably have too low skill or understanding of your niche. Thus, you will need to check hundreds of the resumes hoping to find the candidate that you would like. Moreover, many of those who send resumes via job aggregators frequently lie about their real experience and skill. They rarely attach cover letter or motivational note why they would like to work for you. They feel that ordering resume writing service is enough to create a cv that will attract the attention of recruiters. However, they are mistaken. A resume without references and at least a slight proof that a person is a real professional rarely catches the eye of the person responsible for hiring. Of course, if you have a huge team of recruiters who are ready to check all resumes and portfolios and contact to every applicant, this is quite a good choice for you. Among all the applicants you will definitely find those who will suit your demands. However, get ready to spend a lot of time to find those brilliant employees. 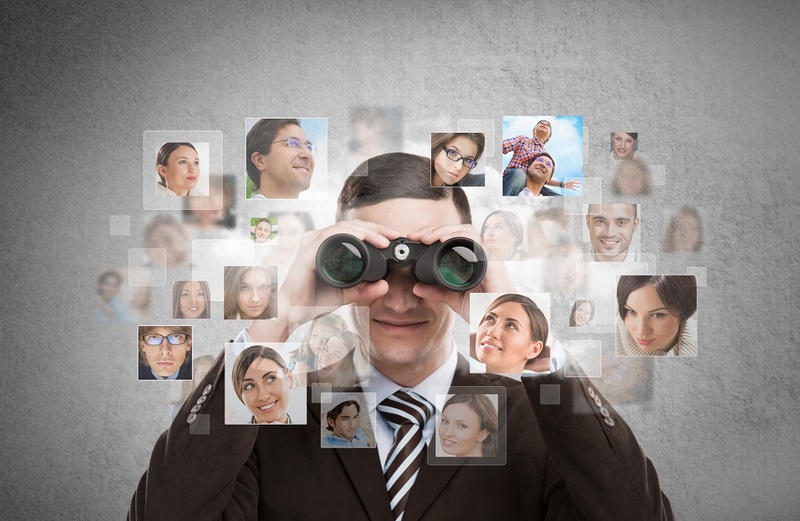 When you use social media for searching candidates, you implement slightly different approach. Here, the candidates are not applying for your positions (however, there are some exceptions and we are going to talk about them a little bit later), but you are looking for the candidates. It means, that you browse the pages of the companies where the best employees work or the spheres where they work, and start to analyze. It won’t be enough just to use a Facebook, however, here you can find all important information such as contacts, links to portfolios, and of course, personal characteristics. You will definitely better know people after careful investigation of their personal page than reading their resumes. To know the technical skills, working experience, and even find some references, use LinkedIn. LinkedIn is the most popular professional network where candidates create profiles that look just like the resumes and build their professional circle. Currently, there are over 450 million users from different countries, and they all are united with one goal – whether to find a job or a candidate. Here, you can find the perfect candidate for your position by the keywords, job titles, and the companies. You can configure settings to find the person who perfectly suits your demands. The searching process is rather easy, as you will get the recommendations from LinkedIn software based on the experience of other users. The best and the most popular candidates will appear on the list, so you will be able to reach the best ones. Next comes checking the profile. Pro-oriented LinkedIn users know that their profile will speak more for them than any resume. That’s why they try to make it perfect. You will be able to check here full information about candidate’s experience, skills, achievements, certifications, courses and workshops that he attended. Additionally, you will get access to the publications and will be able to estimate the professionalism of people by reading their research. One of the best things about LinkedIn is the references. In many cases, the candidates ask their colleagues and ex-colleagues to write a reference to make their profile full and appear more frequently in search. Thus, you do not need to ask for them, as you can check them from the scratch. To contact to the candidates that you like most of all, you just need to add them to your contacts and send a message. Keep in mind, that most of them receive dozens of messages per week, and frequently, they just ignore them. Therefore, you need to write a message in such a way, a candidate could not resist to answer you. How to create vacancies using social media? If you want to use social media as a tool to attract candidates to your position, you need to understand how to create attractive job descriptions. For example, you should always provide the details on the requirements and demands, the previous experience and the technical skills. Also, indicate the name of company that you represent. In most cases, brand plays a significant role, and even if the job itself does not presuppose challenges and interesting tasks, but the company is famous, you will get many applications. By using social media to place job description, you improve your possibilities to find a candidate that you will like. Ask your friends to tag people who may be interested in this vacancy, or HR managers who work in certain field and have some recommendations. A good practice here is to offer money rewards if the recommendation will work and you hire this candidate. This is one of the most complicated things for the bigger part of recruiters. In most cases, they only send a message with job description, and that’s all. Of course, it does not mean that you should really become friends with the candidates, but you should do everything possible to build good relations. For example, you may ask a candidate to recommend you someone. If you regularly looking for the experts, you should ask whether it will be nice to send new vacancies for this candidate later on. Always remember that sending a template message is one of the biggest mistake that you may make. In this way, you demonstrate that you are not interested in candidates, you just want to close a vacancy. Thus, always check the history of messages with a certain candidate not to be too annoying. It’s time to sum up and define the main tips that will help to make a process of finding perfect candidate a success. Every niche has a huge number of communities in social media. There, they share their experience, discuss professional issues, and share the job offers, of course. If you join such a community, you will be able to check the activity of its members and define who of them will perfectly suit your vacancy. If you are writing to a person with a job offer, be sure that he will definitely check your own account. Thus, it should look professional or at least attractive. Do remember that you are a face of your company, and your social profiles should correspond to the image you want to create. Your friends and connections will appreciate if you update your profile regularly to show what type of employee you are looking currently. This perfectly works for LinkedIn, so never forget this point. This is rather a long process, however, if you want to simplify searches of candidates, it’s better to work on it. You need to create value for your company on the market. If people know that you offer the best conditions, they will apply more frequently, and the percentage of expert applications will be higher. Nothing persuades people better than their own experience or the experience of their friends. If you colleagues start to share the vacancies of the company where they work, their friends will more likely to pay attention to it. So encourage your employees to share vacancies, and do remember to reward them if the candidates they bring become your team members. Can 140 characters describe a person? Well, they do. If you want to know even more about your candidate than even Facebook tells, check Twitter. When you have chosen a candidate that you liked most of all, you probably want to contact him immediately. However, it’s better not to do that in rush, as you can just ruin the first impression, and the candidate will no longer start a conversation with you again. Always indicate the details of the job offer and ask a person for feedback. Do answer all the questions and never hesitate to ask him to interview if you liked the candidate. An expert receives too many messages to pay attention to all of them. Thus, you need to develop your own strategy on how to differ from all other recruiters and how to attract people with your offers. If a person refused to keep discussing the job offer, you should never keep writing him again and again. Otherwise, you will only annoy, and the candidate will delete you from the connections and will send you to block. Be polite and ask whether a candidate is looking for new job opportunities prior to promoting your company and your position. It’s a huge mistake to send messages to people who have the same title of the job position that you have been looking for. The first of responsibilities, industry, and technical skill are different for different positions, and prior to contacting a person, you need to make sure that the cooperation is possible. Of course, in some cases, you may reach the candidates who possess only some skills from you list, but additionally you need to explain why you have decided that a candidate will be a good one to take this position. By using social media, you can easily simplify the process of searching candidates, enrich your candidate list, and establish connections that will be of use in the following searches. We hope that you discovered some great ideas that would help you to conquer social media market as a platform to find the best candidates for you. Charles is a career mentor, motivational speaker & human resources consultant with over 10 years of experience in HR sector. Charles is a lead expert at Professional Resume Solutions. Apart from career mentoring, he loves photography and football. Find him on Linkedin, Twitter, Facebook and Google+.